Residents of Abu Dhabi will be able to witness a memorable sporting moment as the Special Olympics MENA Games 2018 Torch Run takes place across the emirate. 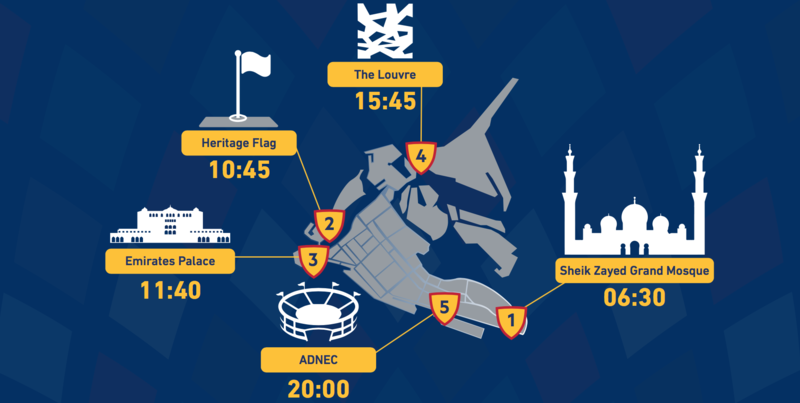 Residents will be encouraged to step out of their offices to cheer on the carriers of the flame as it travels from the desert into Abu Dhabi’s centre, via several landmarks. The run will start from Sheikh Zayed Grand Mosque at sunrise. From there the flame will travel to Emirates Palace and then The Louvre before finishing at Abu Dhabi National Exhibition Centre. The flame will eventually light the Olympic torch at the Games’ opening ceremony on Saturday evening. The flame will be carried by Special Olympics athletes who will be supported by police officers from each of the emirates and sporting celebrities, including UAE football captain Ismail Matar and his teammate Ali Khasif, Michelle Kwan, the most decorated American figure skater and Raha Moharrak, first Saudi woman to climb Mount Everest.